It's never too early to start Christmas shopping, I say, so I decided to treat myself to an early Christmas gift. 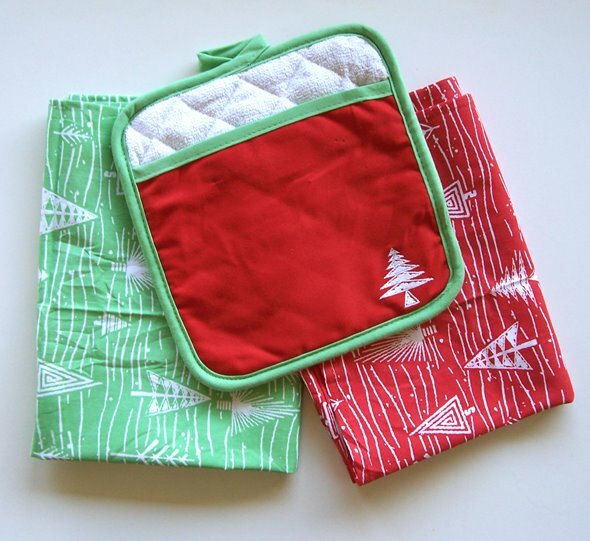 This little holiday kitchen linen set from the Martha Stewart Collection was found on eBay and I just had to have it. I'm glad I did! I love the colours and the retro-modern design. The set came with two tea towels and a pot holder. 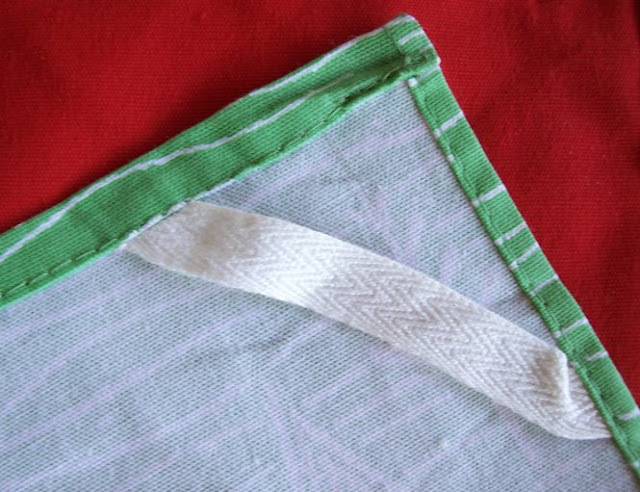 A nice detail is this linen strip in one corner of the towel for hanging it on a hook to dry. 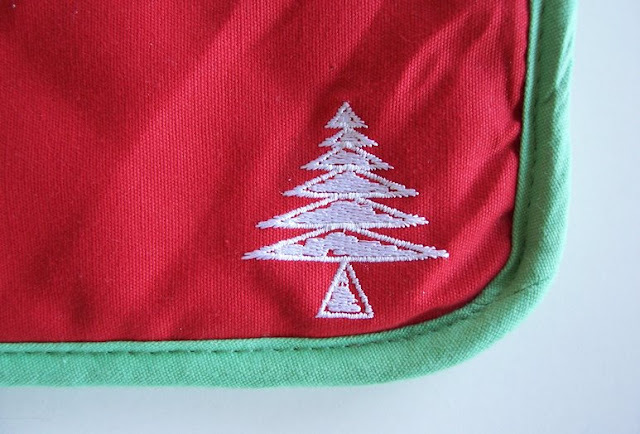 A stitched Christmas tree on one corner of the pot holder is a very nice detail. I've found that eBay is a great resource for discounted merchandise from the Martha Stewart Collection. 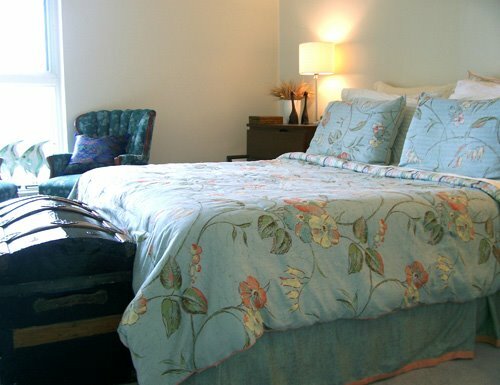 I got my bedding from eBay, which you can see on my bed below. It's Martha's "Vintage Wallpaper" pattern from the Martha Stewart Collection. Thanks, Kevin! I love the faux bois too. I chose the Vintage Wallpaper because I have all my vintage stuff in the bedroom, so it seemed like a good fit. (The trunk at the end of the bed is 87 years old!) I want the faux bois towels, DESPERATELY! Macy's had the faux bois towels over the weekend for ten bucks! They're usually 14.99 here in Atlanta. I didn't get then because the weekend before I bought four bath sheets at K-Mart...for FOUR BUCKS a piece! God love her, Martha rocks. ...Four bucks for faux-bois towels. Wow! We need a Macy's in Canada first before we get the specials, sadly. Kenn, you've always spoiled me. "Thank you" doesn't begin to cut it.